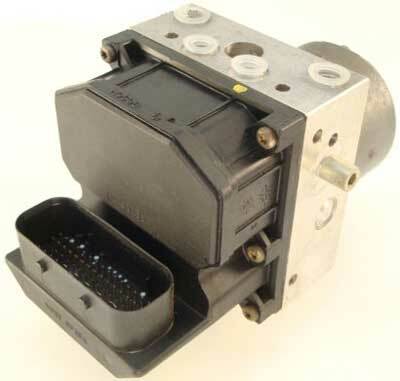 A common problem on the Seat Ibiza from 2000 – 2005 is the Bosch 5.7 ABS Pump / Control Module which becomes faulty. When this part fails, it will cause the ABS light to illuminate on the dash but will not necessarily affect the drive of the vehicle, however, it is an MOT failure to have the ABS warning light on. The Bosch 5.7 ABS / ESP Module fitted to this vehicle is a very common failing part and can fail for many reasons. Below we’ve listed some of the most common faults we’ve seen with this type of ABS pump unit. When the ABS Pump fails on a vehicle most dealers and garages will advise on a new replacement part because of the 12 month warranty and peace of mind that it will be a new working part, however, the cost of a new replacement ABS pump can be very expensive and will require programming at an additional cost. Used parts come with a limited 30-90 days warranty and will also require re-coding where possible at an additional cost. 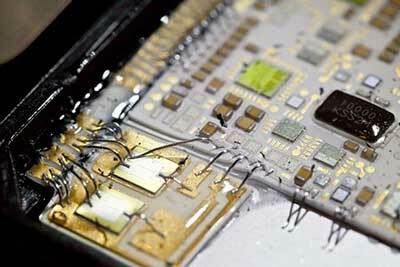 We offer a fast, efficient and affordable repair solution. We’re able to fully test, repair and remanufacture the ABS / ESP Module on the Seat Ibiza and we use new Genuine OEM components to ensure that each and every rebuilt ABS pump meets & exceeds OE specifications. All of our repaired ABS Modules come with our lifetime warranty and will not require programming when re-fitting back to the vehicle. Below is an extensive list of common part numbers associated with the Bosch 5.7 ABS Pump module. If you’re part number is not listed or you’re not sure about anything, give us a call on 0844 847 9999 and we’d be happy to assist you. Tags : 0014461089, 0265 225 059, 0265 225 133, 0265 225 135, 0265 225 136, 0265224011, 0265224012, 0265224013, 0265224085, 0265224086, 0265225005, 0265225006, 0265225138, 0265225139, 0265225140, 0265225141, 0265800003, 0265800008, 0265900043, 0265900048, 0265950002, 0265950004, 0265950006, 0265950012, 0265950036, 0265950055, 0265950056, 0265950061, 0265950062, 0265950063, 0265950065, 0265950067, 0265950073, 0265950076, 0265950084, 0265950087, 0265950118, 0265950120, 0265950127, 0265950130, 0265950135, 0265950145, 0265950149, 0265950150, 0265950159, 0265950160, 0265960357, 0273004573, 0273004574, 0273004576, 0273004578, 0273004957, 1265800003, 1265800008, 1265900001, 1265900009, 1265900048, 1265950002, 1265950004, 1265950006, 1265950012, 1265950036, 1265950054, 1265950055, 1265950056, 1265950061, 1265950062, 1265950063, 1265950065, 1265950067, 1265950073, 1265950076, 1265950084, 1265950120, 1265950127, 1265950135, 1265950149, 1273004573, 1273004574, 1273004576, 1273004957, 3U0 614 517, 3U0 614 517 B, 3U0 614 517 C, 3U0 614 517 D, 3U0 614 517 E, 4405005080, 4B0614517B, 4B0614517BC, 4B0614517J, 4B0614517M, 4B0614517S, 4B0998375, 4E0 614 517 B, 4E0 614 517 C, 4E0614517AD, 4E0614517AN, 4E0614517BF, 4E0614517BG, 4E0614517BJ, 4E0614517C, 4E0614517M, 4E0614517R, 4E0614517S, 4E0998375, 6Q0 614 417, 6Q0 614 417 A, 6Q0 614 417 B, 6Q0 614 417 D, 6Q0 614 417 E, 6Q0 614 417 F, 6Q0 698 417, 6Q0614117, 6Q0614117B, 6Q0614117D, 6Q0614117E, 6Q0614417, 6Q0614417B, 6Q0614417D, 6Q0614417E, 6Q0614517, 6Q0614517A, 6Q0614517D, 6Q0614517E, 6Q0614517K, 7D0 907 379, 7D0 907 379 A, 7D0 907 379 B, 7D0 907 379 C, 7D0 907 379 D, 7D0 907 379 F, 7D0 907 389 B, 8E0614111AQ, 8E0614517B, 8E0614517L, 8E0614517N, 8E0998375K, 8H0998375C, 96453241, 96484353, Ibiza 1.2 11.2001 - 04.2004, Ibiza 1.4 09.2001 -. 05.2002, Ibiza 1.9 TDI 09.2001 -. 05.2005, Ibiza 2.0 07.2002 -. 04.2004. I have sent you an email with full information & pricing.